Medium 40s Art Nouveau Peacock bronze necklace by FROM PARIS WITH LOVE! 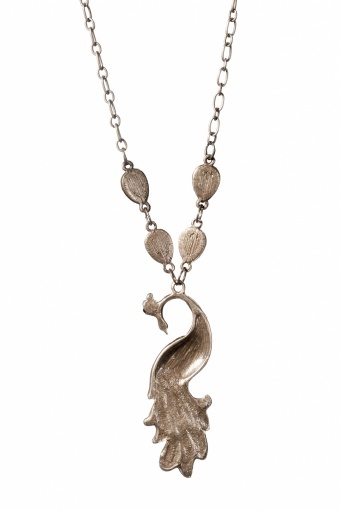 Very elegant antique-look bronze metal (nickelfree) necklace with peacock pendant in Art Nouveau-style. 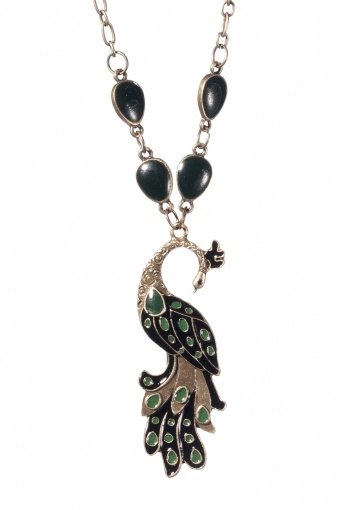 Parts of the plumage of this graceful peacock are enameled in black and emerald green. 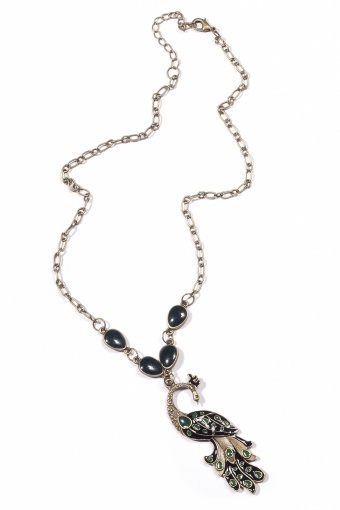 This necklace sits perfectly on your neck, a real eyecatcher! With lobster closure.